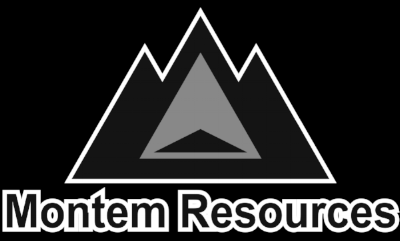 Montem Resources Limited (ASX: MR1) owns the Chinook Properties, which comprise prospective metallurgical coal leases and freehold titles in southern Alberta and British Columbia, Canada. These properties are located in an active mining district and in close proximity to key mines of Teck Resources, a major exporter of Canadian coking coal. Four of the Chinook Properties contain previous open-cut and underground mines. Montem Resources plans to re-establish mining at the Tent Mountain open-cut mine while exploring development opportunities at the other Chinook Properties. Healthia Limited (ASX: HLA) aims to be one of Australia’s leading allied health companies. It was formed to bring together well established brands, including the My FootDr Podiatry Clinics and Allsports Physiotherapy Clinics. Post IPO Healthia will have over 100 clinics, with future growth expected to come from both organic growth strategies and the acquisition of well-established clinics throughout Australia. PM Capital GO 2025 Limited (ASX: P25PA), a subsidiary of ASX listed PM Capital Global Opportunities Fund Limited (PGF) is a new type of listed investment company, issuing securities known as Portfolio Tracking Exchangeable Redeemable Securities (Converting Securities) (PTrackERS). PGF is a listed investment company (LIC) that is managed by PM Capital Limited (PM Capital). PGF invests in a concentrated portfolio of global securities diversified across global equity markets (including Australia) with the objective of providing long-term capital growth over a 7-year plus investment period. 1414 Degrees Limited (ASX: 14D) designs, develops and manufactures Thermal Energy Storage Systems (TESS) that utilise the very high energy density of molten silicon to maximise efficiency. The TESS is intended to provide affordable and reliable renewable energy storage. The Company’s TESS devices are versatile and scalable, differentiating them from other storage systems and technologies.